In today’s digital era, there are many ways in which business owners can increase their chances of success. It is important for businesses of all sizes to ensure they embrace the digital age because without doing this, they will undoubtedly be left lagging behind their competitors. There are many ways in which you can do this from ensuring you have an excellent, well designed site through to engaging in social media marketing and creating a blog. If you do not already have one running, it is a very wise idea to learn more about how to create a blog. In the digital world we now live in, the creation of high quality blog posts can help your business in many ways. You can educate your audience about your industry, products, brand, or services, and you can gain a solid reputation amongst your readers. Moreover, you can make money from affiliate marketing with your blog posts, so there are many benefits that come with creating a blog. If you want to ensure your blog is a success, there are certain considerations that you need to keep in mind. It is important to remember that these days audiences are far more discerning, and they expect the best when it comes to online content. This is why you cannot get away with simply rushing out content that has no real meaning or relevance simply to try and make money or gain exposure for your business. The quality of the blogs you create is of the utmost importance as this is something that can make or break your reputation. If you ensure that your blogs are well written, accurate, well researched and engaging, you will quickly develop a following or people who see you as a leading authority in your industry. You can gain trust and confidence from your audience and they will have confidence in any products or services you recommend or mention in your posts. If you churn out low quality posts that have no relevance or value other than to try and promote links, you will quickly lose your audience and gain a bad reputation. You need to make sure that your blog posts are also reader friendly, which means making sure they are properly formatted and laid out. Use bullet points and subheadings to break up reams of text, as this is far easier on the eye and enables readers to skip to the parts they are most interested in. Also, make sure you use high quality images within your posts, as this can help to attract more readers, break up the content, and make your posts look far more professional and engaging. 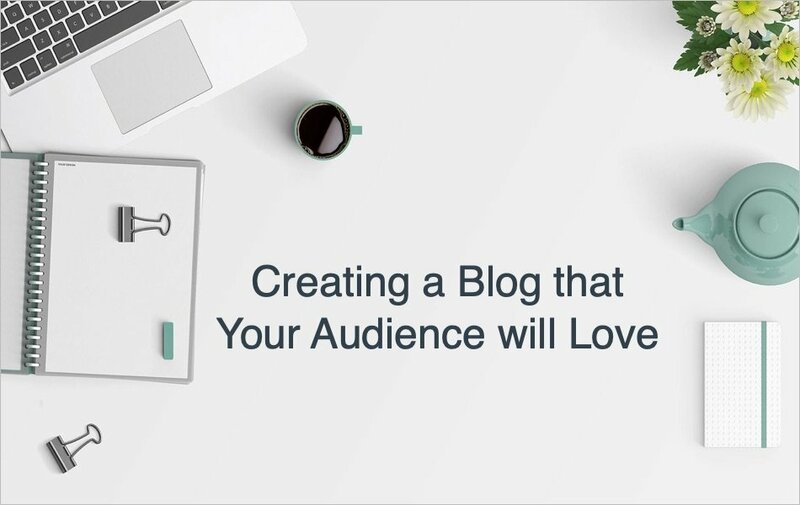 If you want to develop a devoted audience, you need to ensure your blogs are engaging and provide some value to your readers. The days of banging out content just for the sake of adding links and promoting services or products are long gone. These days, it is not just consumers that frown upon these methods but also search engines. You therefore need to make sure that you create well crafted posts that are packed with relevant and interesting information and that are accurate, well researched and of high quality. By keeping your audience engaged, you will not only keep them coming back to continue reading your posts, but you will most likely see them recommending your posts to others. This means that you can boost your reader numbers with far greater ease, which means increased success and exposure for your business. Another thing to remember is that well created and engaging blogs will help to boost your website traffic. You can add fresh blog posts on a regular basis and then post a link to them on social media. People will then click on the link and this means increased traffic to your site. If the blogs are engaging and interesting, people will forward the link to their own friends and family and this will further increase the traffic to your site. In addition, the search engines love to see fresh, high quality content added to sites on a regular basis. By adding engaging blogs, you can impress the search engines and boost your rankings. Again, this means greater exposure and more traffic to your site. One thing you can consider if you do not have a natural flair for writing is to get an expert to create your blogs for you. This will enable you to achieve the goals you are aiming for by creating a blog but also means that you won’t have to worry about creating low quality blog posts that could end up doing more damage than good.